Sputnik has obtained a document of the draft Syrian constitution proposed by the Russian delegation during the Astana talks. 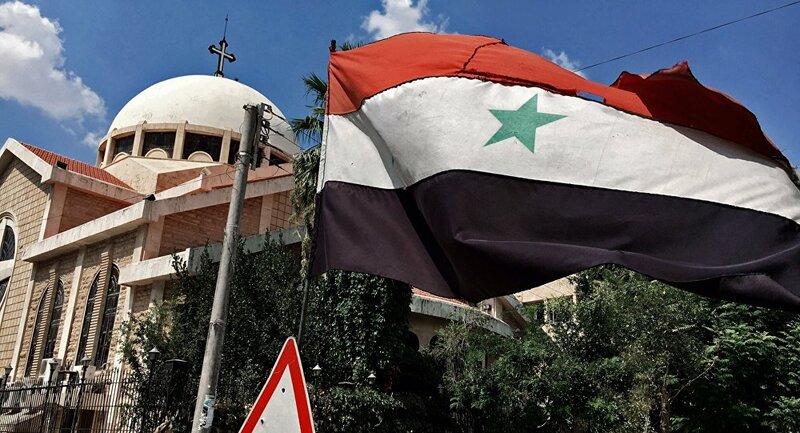 Earlier in the week, the draft Syrian constitution, prepared by Russian experts, was presented to the Syrian opposition during the settlement talks in the capital of Kazakhstan. Head of the Russian delegation Alexander Lavrentyev underlined that Russia was not interfering in consideration of constitution and presented the draft to the opposition simply in order to accelerate the process. Russian constitutional proposals for Syria that were handed over to the opposition during Astana talks suggest that the word "Arab" be removed from the official name of the country, the document obtained by Sputnik, reads. "The Syrian Republic is an independent democratic sovereign state based on the principles of people and supremacy of law and equality and social unity and respect of the rights and the liberties of all citizens without any differentiation. The names of the Syrian Republic and Syria are equal," Russian-proposed constitutional draft, obtained by Sputnik, reads. The document envisages changing Syria's borders only if the country's nationals support the move via a referendum. "Any loss of Syrian territories is not acceptable, change of state borders can only be allowed through a general referendum with the participation of all citizens and on the basis of the desire of the Syrian people." 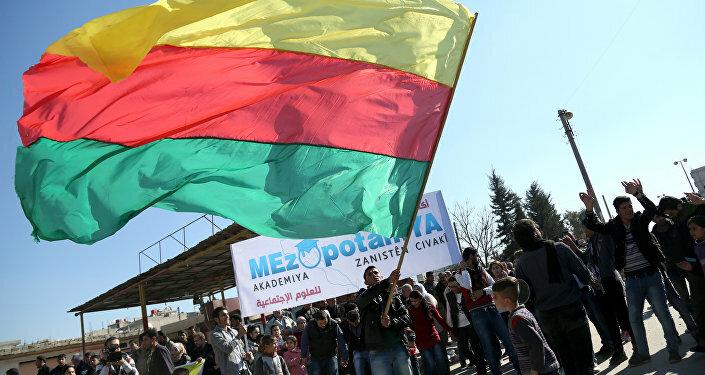 Russian proposals for Syria suggest that the Kurdish autonomies can use Kurdish and Arabic languages on equal rights. "The Arabic language is the official language and the way in which the official language is used will be specified by the law." "The Kurdish cultural self-ruling systems and its organizations use both the Arabic and Kurdish languages equally," the document reads. 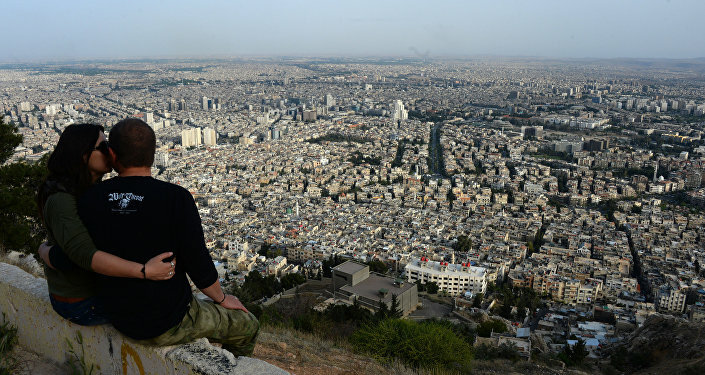 The documents suggest that the cultural diversity of the Syrian society must be ensured. "Upon the national heritage which promotes national unity, the cultural diversity of the Syrian society will be ensured." Moreover, the draft constitution proposed by Russia suggests extension of the Syrian parliament’s powers so that it could declare war, impeach the president and approve the head of the Central Bank. "The People’s Assembly will be responsible for … decisions on war and peace issues, the removal of the president from the office, appointment of the members of the Supreme Constitutional Court, appointment of the head of the Syrian National Bank and his dismissal from office." The document also suggests the Syrian army not to be allowed to interfere in politics or used as a means of oppression. "The [Syrian] armed forces and other armed units are under the society’s supervision and they will protect Syria and its territorial integrity. They should not be used as a means of oppression of Syrian people and interfere in the sphere of political interests. They do not play a role in the process of transition of power." The constitutional proposals for Syria suggest that international law should be a priority in case domestic law contradicts it. The document stipulates the supremacy of the international law. "The recognized principles and provisions of the international law and Syria’s international treaties are an integral part of its legal system. If an international treaty defines different rules than that of the Syrian law, then the rules of the international treaty will be used." Russian constitutional proposals for Syria that were presented to the opposition during Astana talks stipulate that all confessions and nationalities must be given equal representation in the government, the document obtained by Sputnik, reads. "The nomination to the posts of Vice Prime Minister and ministers shall adhere to the proportional representation of all ethnic and national factions of the Syrian population, while certain posts shall be preserved for national and sectarian minorities. The president and the prime minister have the right to consult in this regard with the representatives of the People’s Assembly and regions," Russian-proposed constitutional draft, obtained by Sputnik, reads.